Street Ping Pong Newcastle is about integrating free-to-play ping pong tables to the public spaces you care about. All the fun of the Cumberland Arms on your doorstep, all day, every day! Ping! 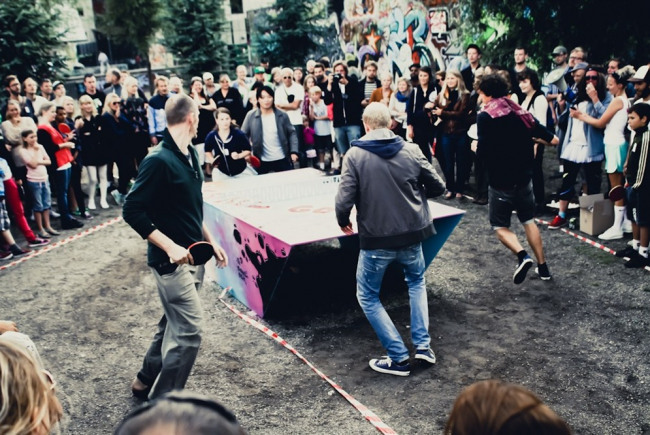 England showed ping pong to be both a viable and hugely popular activity in the UK's outdoor spaces. Newcastle, unfortunately had to look on enviously. Not any more, with the World's ping pong pioneers descended upon the city for Pongress, there will never be a better time to catapult ping pong out onto the streets, squares and parks of Newcastle. Design and fabricate a customised, sculptural ping pong table in collaboration with residents and artists. Install the table / urban artwork on site with involvement from the local community. Tables will invite people to use public spaces more frequently and sociably. Each project will collaborate with artists and designers to create unique, place-specific tables that will enhance public spaces, even when tables aren't in use. Playing ping pong is a fantastic way to break through social barriers, to meet neighbours and strangers alike, to have fun, and keep fit and active at the same time. Designing the right ping pong table, for the right space is important - we want every table to be cherished and looked after by local people, and in turn the table will provide a focus for thriving communities, built around 'pong. Clear site and leveled by landscape contractors / local residents. Commission artist, who'll use table's surfaces as a canvas to create a unique look. 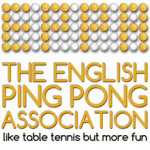 The EPPA is a loose, democratic and not-for-profit collective of ping pong enthusiasts. We are here to connect ping pong players with each other and with the places you can play, and to encourage the exploration of ever more creative things to do with bats, balls, tables and imaginations.